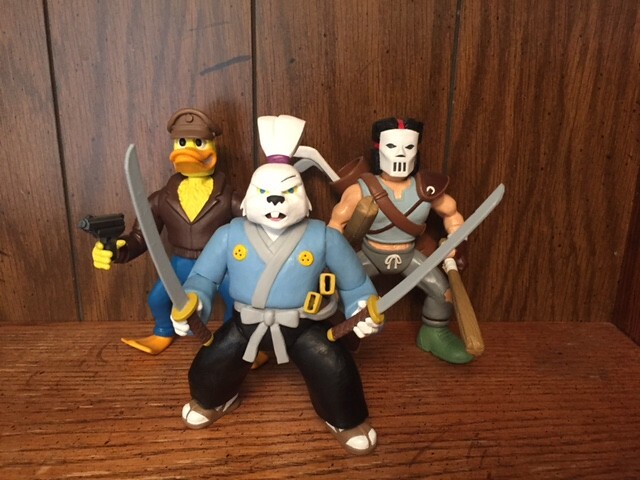 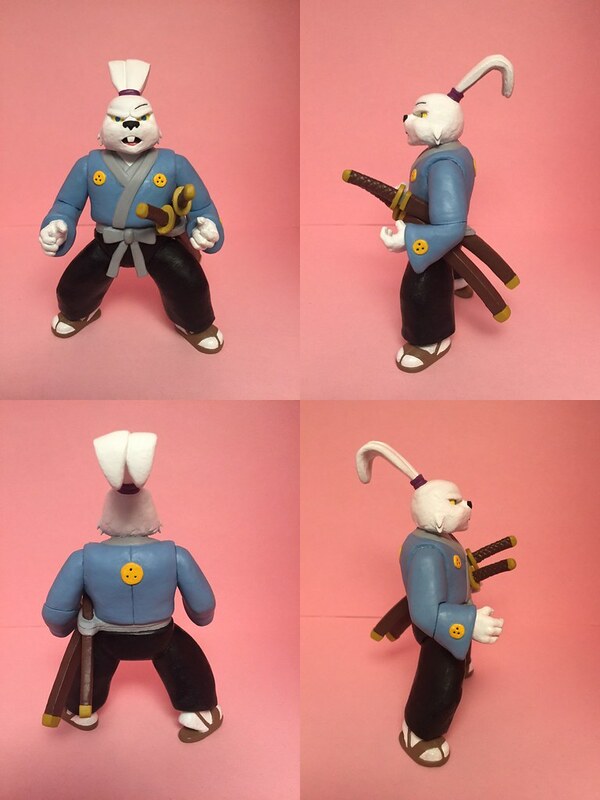 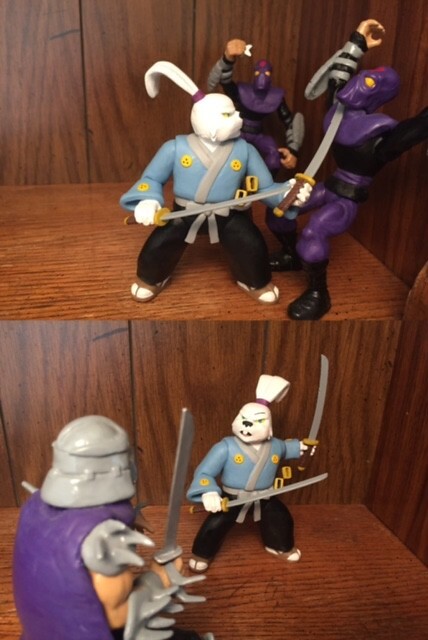 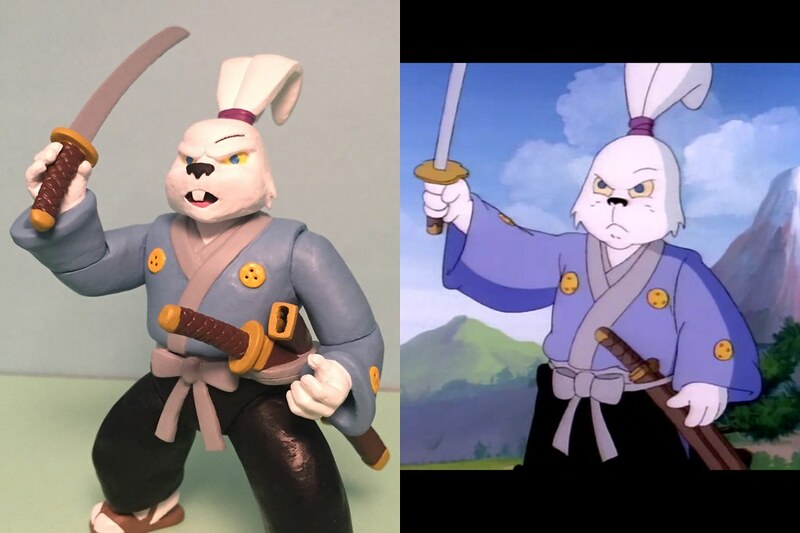 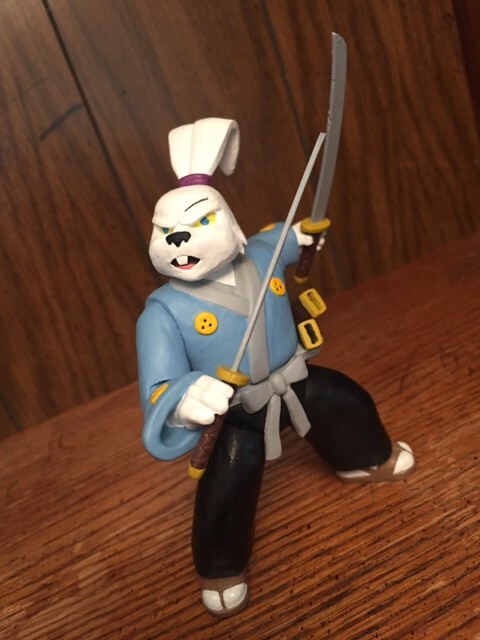 Used the original 1989 Usagi Yojimbo action figure as the base. 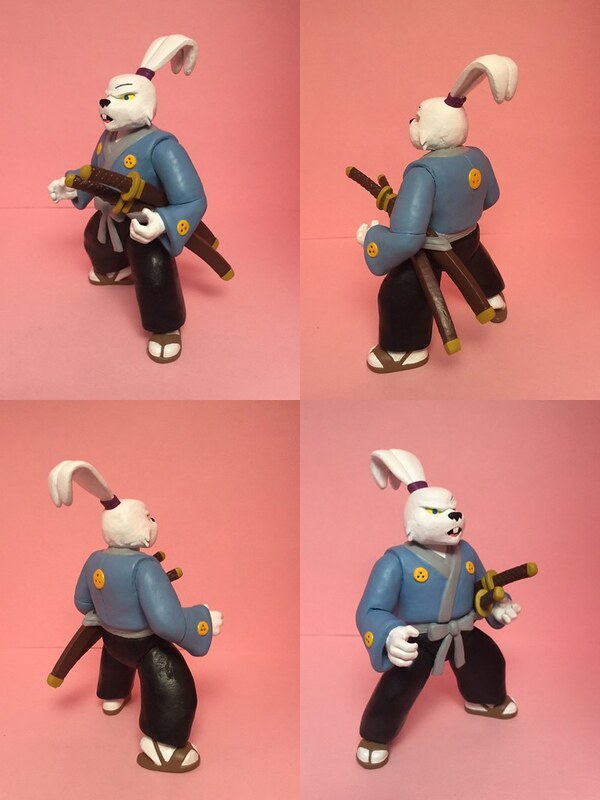 Used Apoxie Sculpt, Kneadatite, acrylic paints and enamel paints. 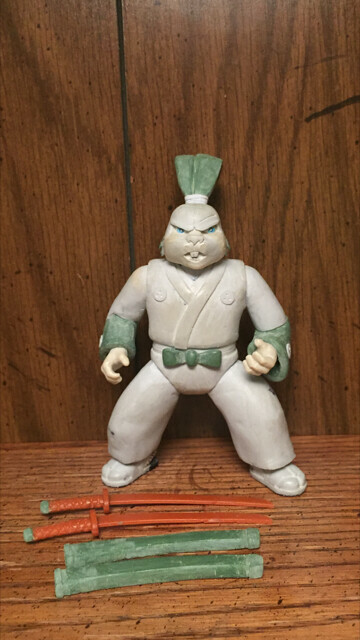 Sculpted completely new outfit onto the figure and re-sculpted several other areas of the figure, including new ears, in attempt to more closely resemble the character's appearance on the original TMNT cartoon. 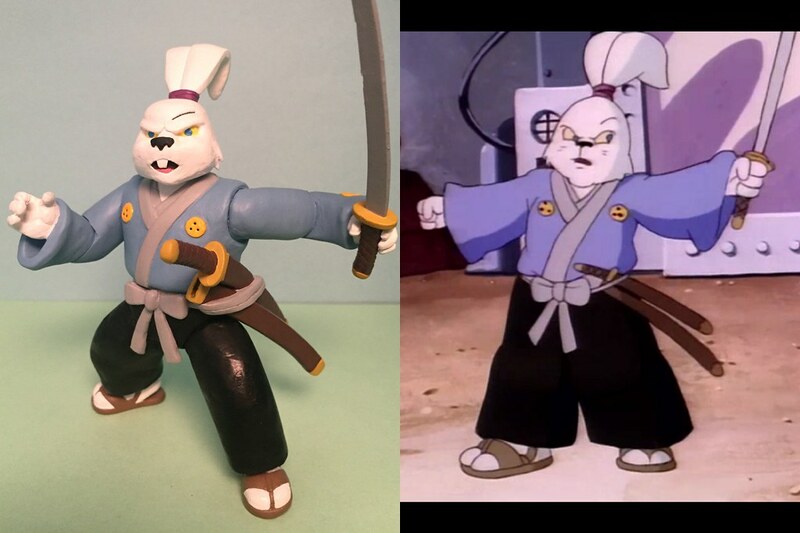 Customized 2 swords from original Usagi figure and sculpted sheaths for them. 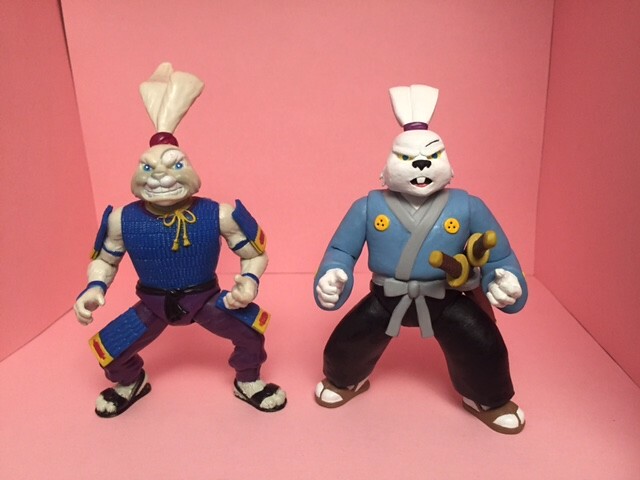 Painted everything. 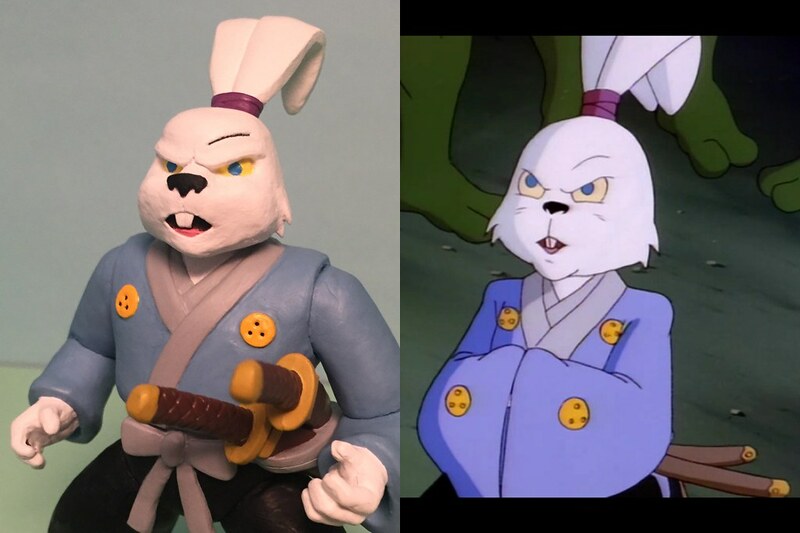 Tried to make it as toon accurate as possible using the original Usagi figure as the base. 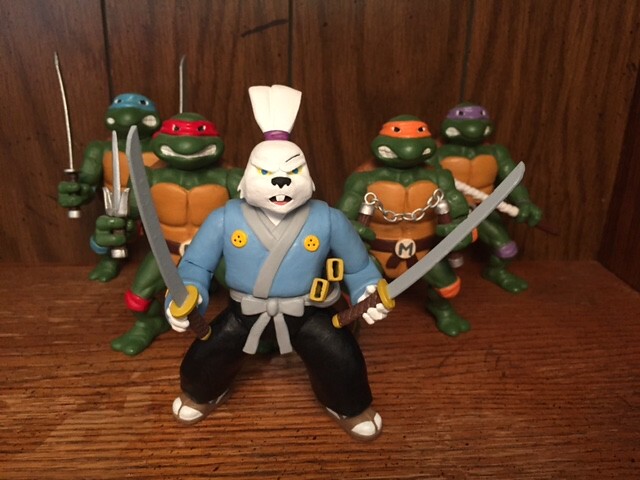 Last edited by TurtleManiac; 07-17-2017 at 11:02 AM.